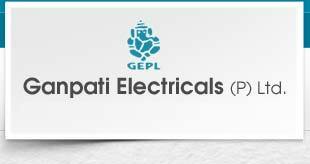 Established in 1999, Ganpati Electricals (P) Ltd. is a technology driven company and is registered as Class I Electrical Contractor. We are primarily a Contractor and undertake all types of electrical contracts and turn-key projects in Industries, Commercial Complexes, Banks, IT Parks, Shopping Malls and Government Organizations. Besides we provide maintenance services for electrical equipments and installations. Our company has trained manpower and vast experience in the field of LT and HT electrical installations. We can also help in setting up Data Centre Infrastructure and have sufficient expertise in the field. In fact we are the High Power Partner of APC by Schneider for their UPS and Data Centre. 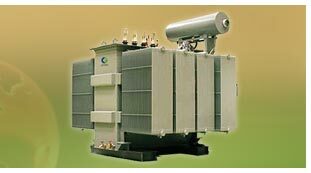 We are one of the recognized names in the industry for designing, keeping in mind the specific requirements of the clients, and providing an array of Cable Trays & Raceways, Servo Voltage Stabilizers & Isolation Transformers, LED & Solar LED Lights (including Aviation Lights) and Electrical Panels. 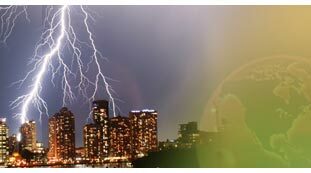 We have immense domain experience and are engaged in providing all types of Cables, DG Sets, Transformers, Earthing Materials, Fire Fighting Equipments and many more electrical items. We are the Authorized Channel Partner of Uniflair India Pvt Ltd. (now Schneider Electric), one of the world's leading producers of air conditioning, and deal in Precise and Centralized Air Conditioning. Our company has earned a good name in industry as a dedicated and professionally managed marketing organization. Our prices are most competitive. 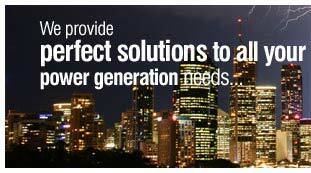 We specialize in providing ultimate solutions in specific and tailor-made requirements. Our commitment to quality, reliability and durability extends throughout our entire business operation. We successfully carry out all types of works to the highest possible standards within demanding time scales. All products and services offered by our company go through stringent quality tests, which give quality assurance to the clients for their satisfaction. Above all, we believe in building long term relationship with our customers and work to have their total satisfaction and their faith in us. Our company is registered with all statutory organizations like ESI and EPF etc. In order to achieve complete customer satisfaction, we target to deliver best in class quality and highest level of services in our industry. Our company has received ISO 9001: 2008 certification for implementing internationally accepted Quality Management System. We adopt advanced technology to maintain consistency in product quality. Every batch of product is subjected to series of tests to ensure that they correspond to International standards. Specific plans are deployed through our Annual Quality Assessment and their progress is measured on a regular basis. Variety of high quality electrical equipment under one roof. Huge clientele in India & abroad. We solicit inquiries from our prospective customers spread across the length and breadth of the globe. To avail information regarding our products and services, kindly email your requirements to us and we will get in touch with you soon. Ganpati Electricals (P) Ltd. has experienced and skilled technicians who have consummate knowledge and expertise in their respective areas of specialization. Our products are made from premium grade raw material and are accurately designed to ensure flawless performance and long service life. We complete the work within designated time and try to maintain our high level of excellence through continuous improvement. We work with clients with a keen desire to build mutual trust.